Hi everyone! Yesterday and today, MFT and Chibitronics are partnering together to share some more inspiration and fun projects using the Chibi Lights Circuits. 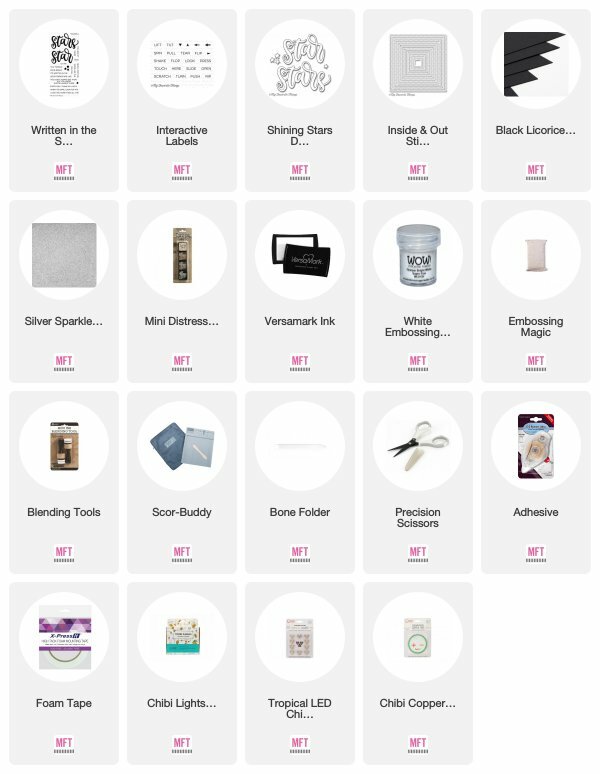 Most of the supplies I used for this project are linked in the link-up tool at the bottom of this post. I went for a galaxy background that I created using watercolors and Distress inks. 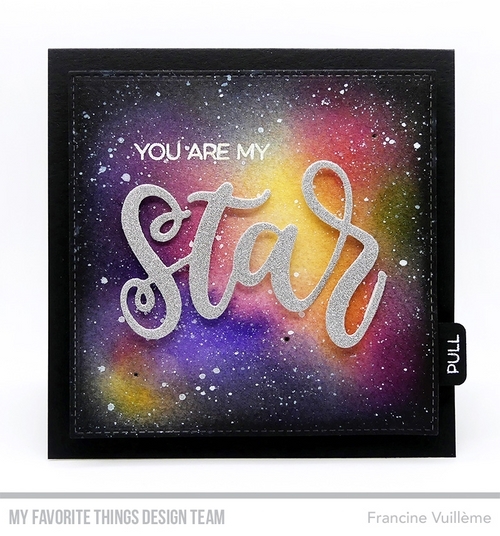 The Star word die was die cut from Silver Sparkle cardstock (I can’t say enough how fun this cardstock is) using the Shining Stars die set. The white heat embossed sentiment is from the Written in the Stars stamp set. I die cut the square panel using the Inside & Out Stitched Square Die-namics set. The Pull label and the card base were made with Black Licorice cardstock. The Pull word is from the Interactive Labels stamp set and was white heat embossed too. To light up my card and create the circuits, I used the Chibi Lights Starter Kit as well as the Tropical LED Chibi Circuit Stickers Mega Pack. 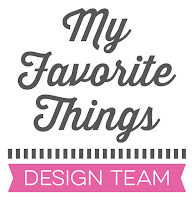 Head over to the MFT blog for more details if you’d like to play along and to check out what the other design team members have created! Love your light up galaxy scene. Beautiful project. Love your fab background. What a gorgeous galaxy background and having it light up just makes it outta this world! Great job on your Chibi project, Francine! Your galaxy background looks amazing, and when you light it up, it's just WOW!!! 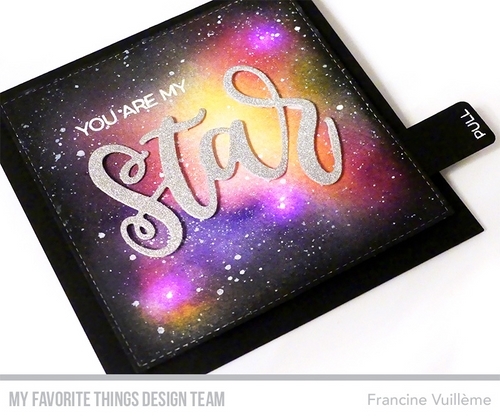 Love your sparkly sentiment, too! Love it - The colors are so vibrant and the lights add a sparkle!